I am working on several occurences of sapphire syenites from the young volcanic provinces of the French Massif Central. Sapphire syenites are found as rare enclaves in volcanic rocks, either trachytes or basalts. However, the frequency of alluvial sapphire deposits in the French Massif Central, similar to the more widely-known deposits of Australia, Thailand and Madagascar, indicate that sapphire syenites are more common at depth. The paragenesis of these syenites is characterized by a strong enrichment in incompatible elements and include alkali feldspars, sapphire, sillimanite, green spinel, zircon, ilmenite, Nb-rich oxides, and rare tridymite. Detailed petrological and geochemical investigation of these syenites will shed light on a previously poorly studied but likely common magmatic suite characterized by extreme alumina enrichment. Fig. 1. 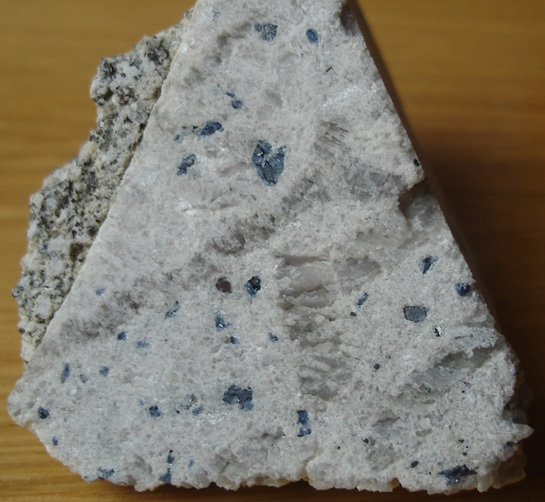 Sapphire syenite with large alkali feldspar laths. Fig. 2. Alluvial magmatic sapphires with mineral inclusions. Thermometry and barometry of the sapphire syenites indicate that they form in the crust, but geochemistry points towards a mantle origin (as indicated, for example by oxygen isotopes: δ18O ~ 6 ‰ for the sapphires). Melt inclusions in sapphires confirm that the parent magma is silica-rich, and extremely enriched in alumina (up to 22 wt%). Zircon U-Pb geochronology indicates that sapphire syenite formation occurs at various times, from 20.3 ± 0.5 Ma in the Limagne to 2.63 ± 0.04 Ma in the Velay. These ages are consistent with those of the local volcanism, and most of them indicate that nepheline syenites crystallized at depth in magma chambers less than a few 100 000 years before the volcanism that brought them to the surface. Further work is in progress to understand the phase relations of sapphire syenite and their source. 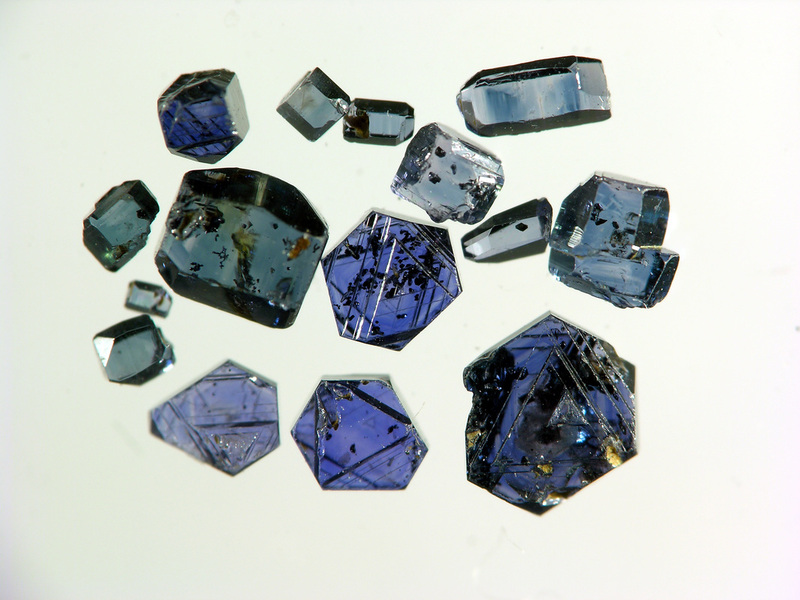 Devouard B, Médard E, Rondeau B, Fritsch E (2010) Rediscovery of Sapphires in Central France. Gems and Gemology 46: 321 (Gem News International). Médard E, Paquette JL, Devouard B, Ricci J, Boivin P, Gaillou E (2012) Gem sapphires and zircons from Cenozoic volcanism of the French Massif Central. 1st Volcandpark meeting, Olot (Spain), May 21-25 (talk & poster).